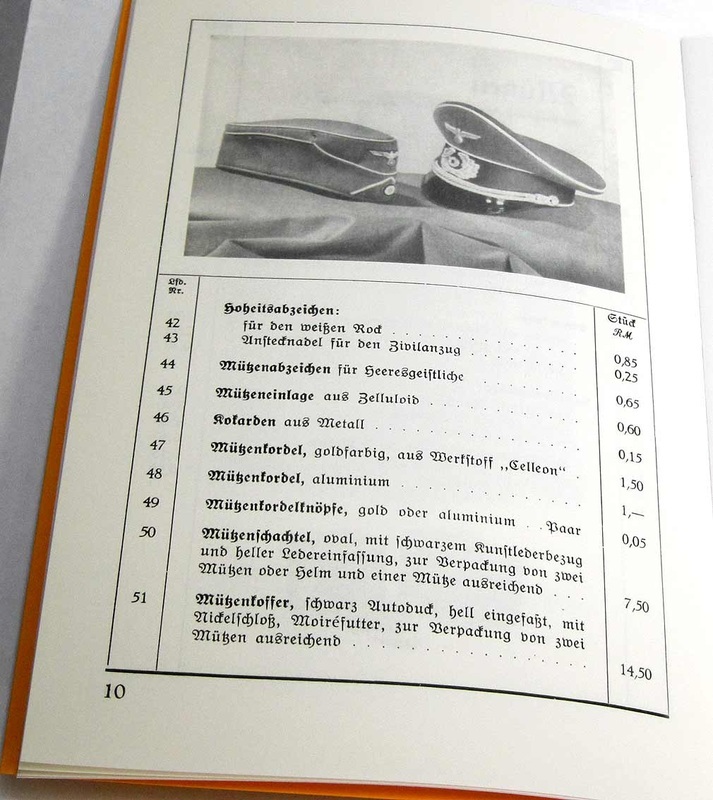 Reprinted German army uniform and accessory catalogue from 1939. 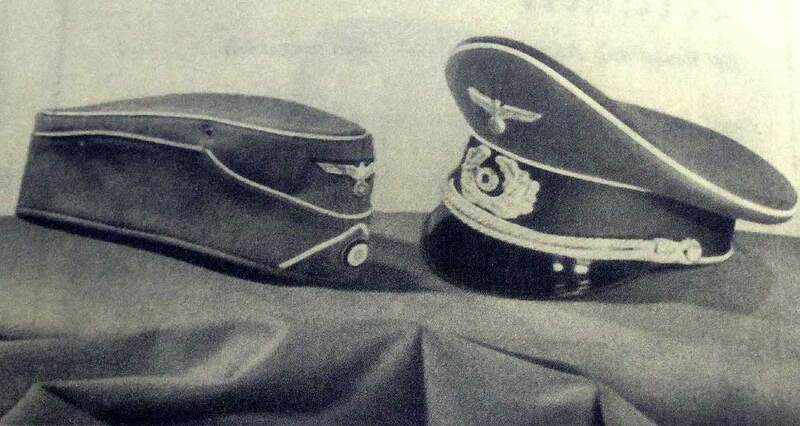 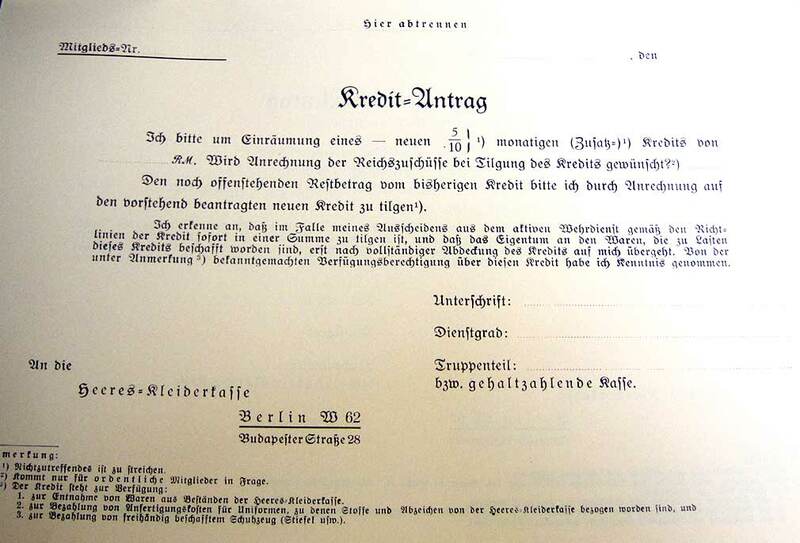 In German Language (like the original) A brand new A5 format soft cover book, of 48 pages, with b&w photographs including 4 full page and 18+ part page photographs or illustrations showing various German uniform garments, accoutrements and accessories, including hats and hat boxes. 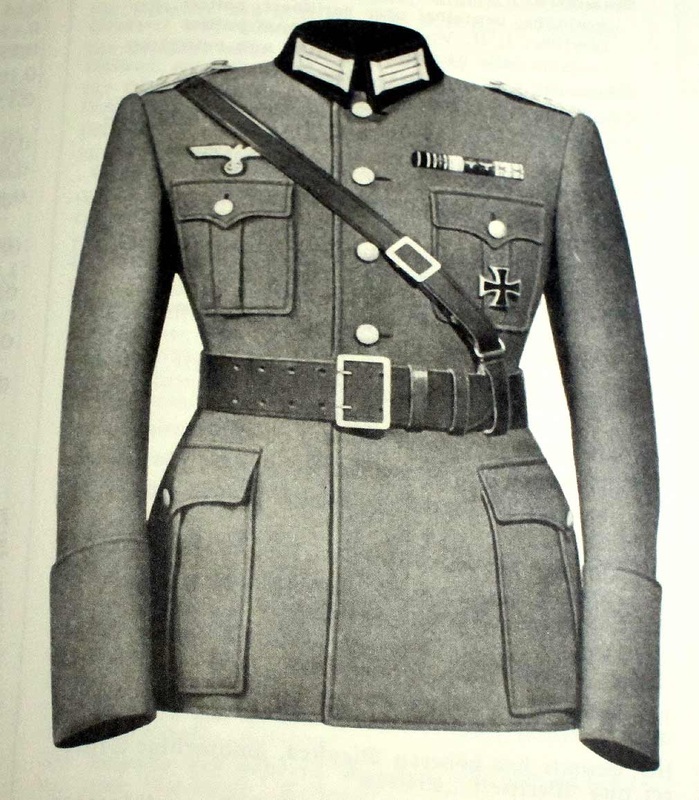 The catalogue gives prices for the extensive range of German Uniform during WW2, along with smart illustrations, diagrams and photographs. 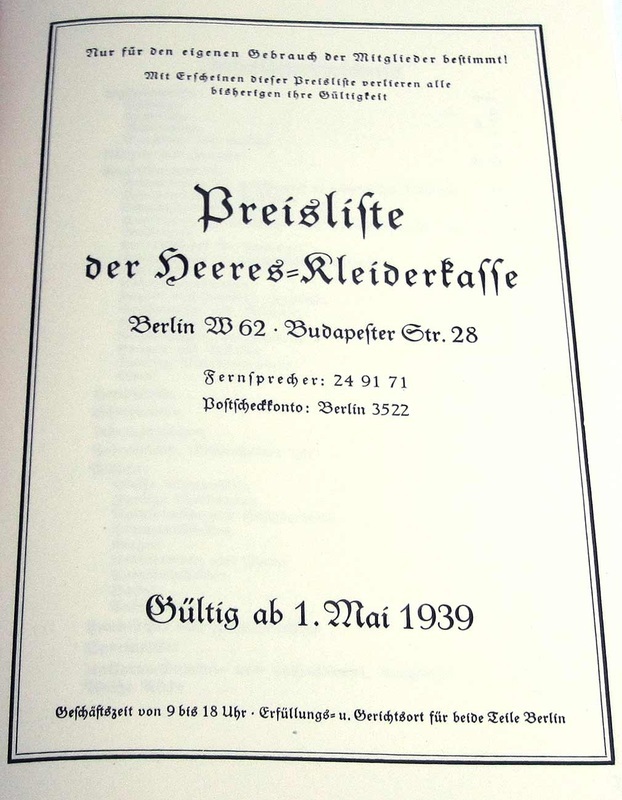 Written in original German font, this catalogue is a fantastic republication of the original, which was produced in 1939 at the beginning of World War Two. 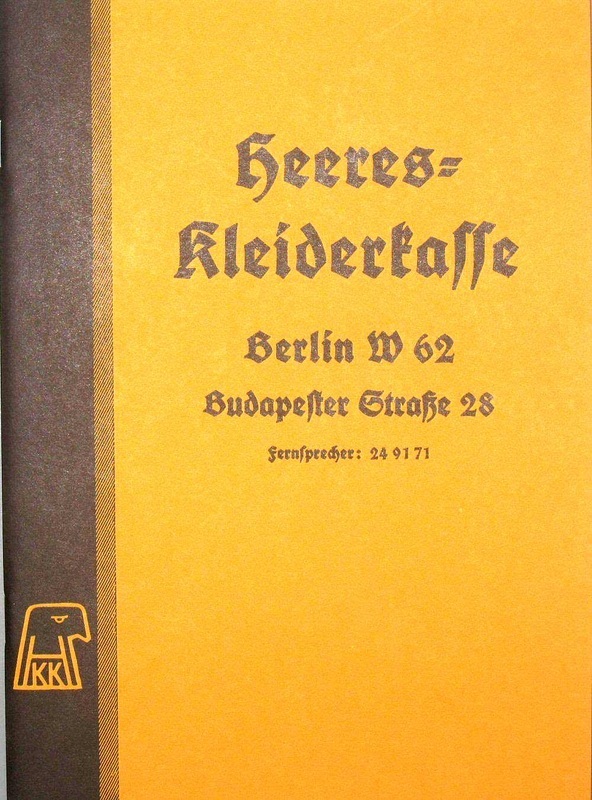 This catalogue makes a great reference for collectors, re-enactors, and military enthusiasts.